We firmly believe that SUPPORT MUST PRECEDE ACTION…and that is why we not only picked accessible poses from Mindful Yoga Therapy, but we also have Veterans that represent just about every body type and yoga capability as hosts. Our hosts are broken down into three different groups: Modification, In-The-Pose, and To The Limits! The first pose of the challenge will go live October 31st, and each night our hosts will post a picture and description of each pose. I love to fly...maybe that is why I joined the Air Force! I feel so light and open when I am in this pose. Be sure to tag all sponsors & hosts and use our hashtag(s) so we can see your entry! *Your profile needs to be public! 1. Use the Challenge Hashtags and engage with the community: Not only is it important so we can track who is participating…and who we can pick as our winner(s)…but it is a great way to engage with and meet a new Kula (community) ofyogis. 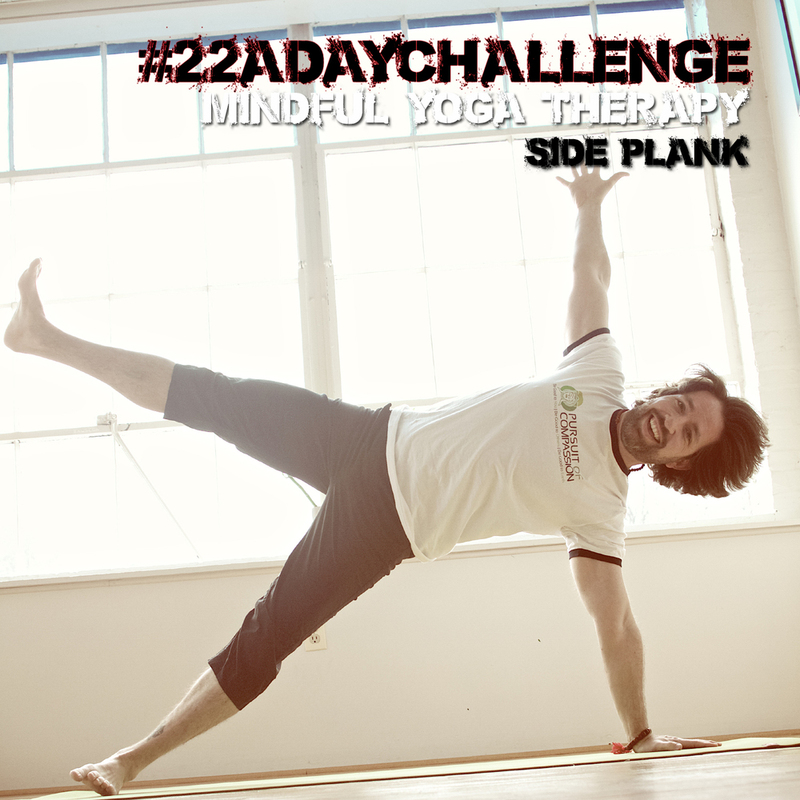 Check in with other yogis who are doing the challenge, leave comments of encouragement for them. Follow new yogis who you find inspiring. A full list of hashtags, hosts and sponsors will be included in every post. 2. Post Daily: I know…like you don’t have anything better to do! Trust me…it is so much easier to stay up to date…rather than playing catch-up. PLUS…every day we will be picking a winner…so if you don’t post a pic…then you can’t win the prize(s) for that day. 3. You Are You: Yoga is a very personal practice and if you’re not used to posting pictures of yourself, or looking at other people’s yoga pictures…it might be a little hard. Don’t compare yourself to anyone. Everybody has a different body…and everybody has a different practice. 4. Like Other Yogi’s Pics: Support most definitely precedes action…liking a pic and leaving comments is a very thoughtful and compassionate practice. 5. Practice Taking Pictures: This might be the most difficult part…especially if you have no help. My phone actually has a voice command that triggers the camera, so I can get into a pose and say either “cheese” or “capture” and the phone will take a picture. If your phone doesn’t have this…consider downloading a camera timer app.